Hello Doodlebug fans. Jennifer here and today I'm sharing my project for the "color challenge". The color I chose to work with was Bon Bon Brown. As you can see I decided to created a card / gift card holder. 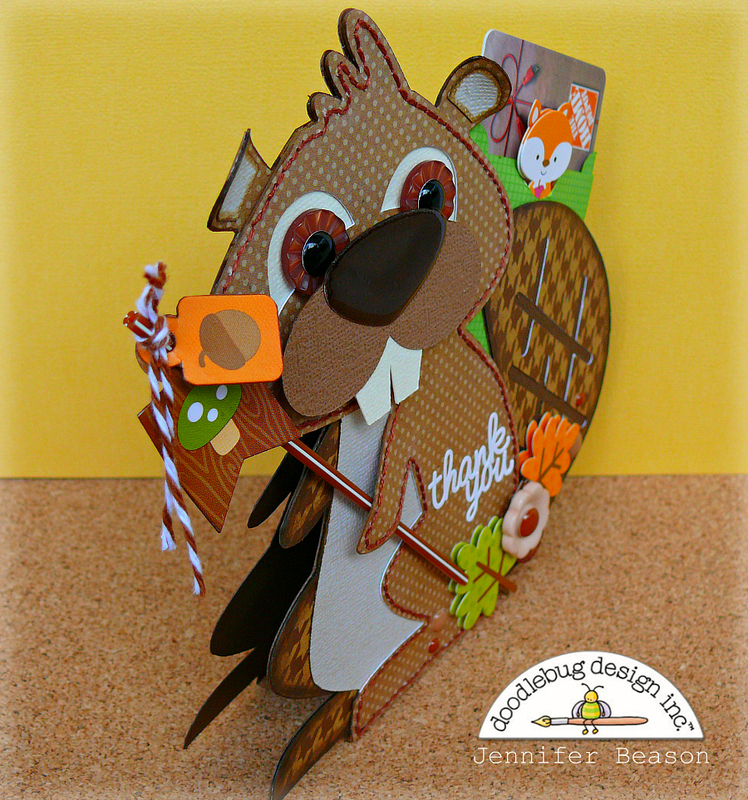 This cute beaver was cut out on my Silhouette, using a mixture of brown patterned papers and cardstock. Brown Boutique Buttons and black sprinkles were used to create the eyes and the cardstock nose was coated with a crystal lacquer, to give it a nice glossy shine. 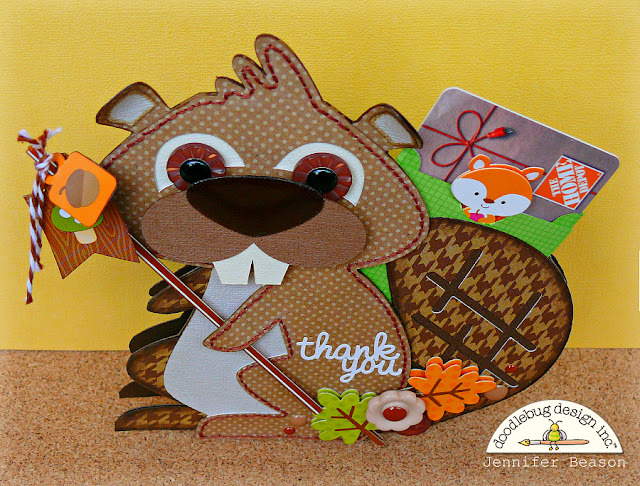 Two pennant stickers from the Happy Campers collection and some twine were attached to a pixie straw for the beaver to hold. 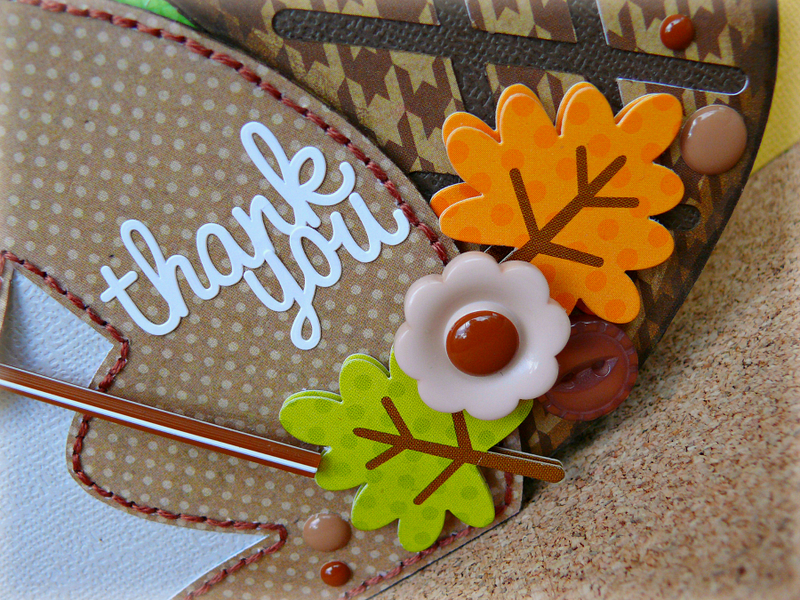 Then leaf and sentiment stickers were applied to the card. More buttons and sprinkles were added for some texture. 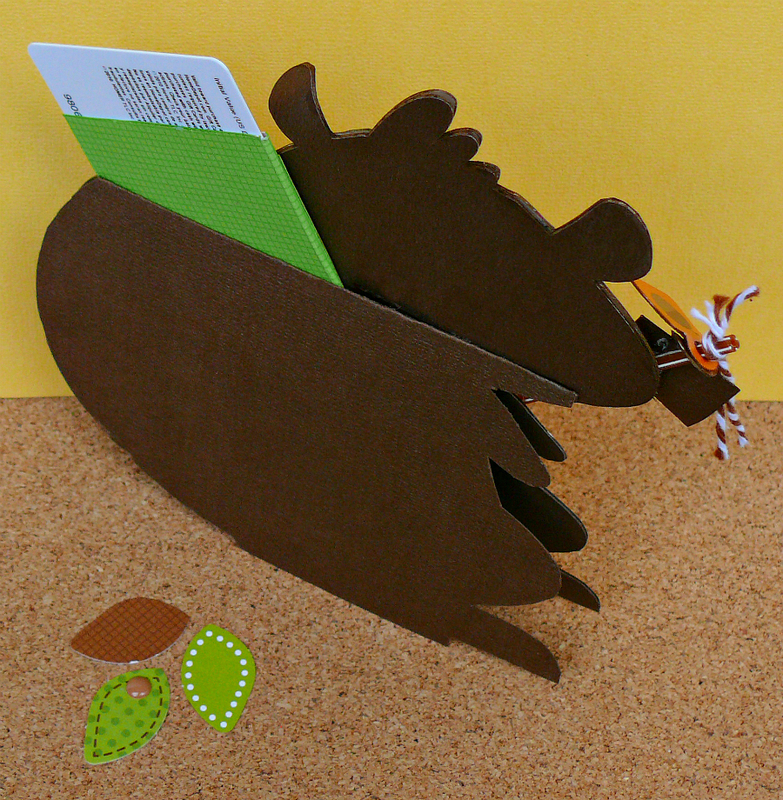 To hold a gift card in place a mini pocket was added to the back of the beaver. Then a piece of folded cardstock was glued to the back of the piece and trimmed, allowing the card to stand. Here's one last look before I go. This is just adorable Jennifer!!!!! Absolutely the CUTEST thing ever :) Love love love!! This is adorable! I love your attention to detail, such an awesome job! This is absolutely incredible and just so amazing!! I think the stitching is stellar and the whole design just delights!!! I agree with your title Jennifer sure did rock it! This is soooo adorable!!! WTG! Awesome critter!!! 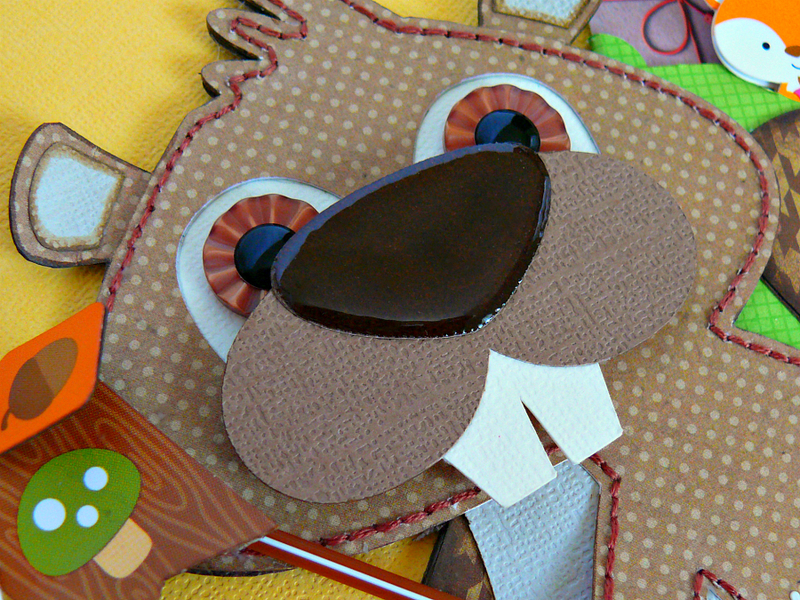 I'm doing a woodland animal theme in my classroom this year and this beaver & fox would coordinate great! Thanks for the inspiration!! !